Can you believe it’s 2018!! Some of you have been with us since the beginning and some less than a month. No matter how long or short you have been a part of the Flying Fortress Crew, we want to say thank you from the bottom of our hearts! We have learned so much from each and every one of you. Every person who walks in our gym, even for one class, brings something to our community and our lives. What makes CrossFit so special is the amazing community that forms around like-minded people striving to better themselves. Our goal from the beginning was to create an environment that would encourage friendships and big dreams! We are looking forward to an AWESOME 2018!!!! Going into the new year we would love to chat with all of you about your goals. We will send out a sign-up sheet for the days and times to meet with us in January. 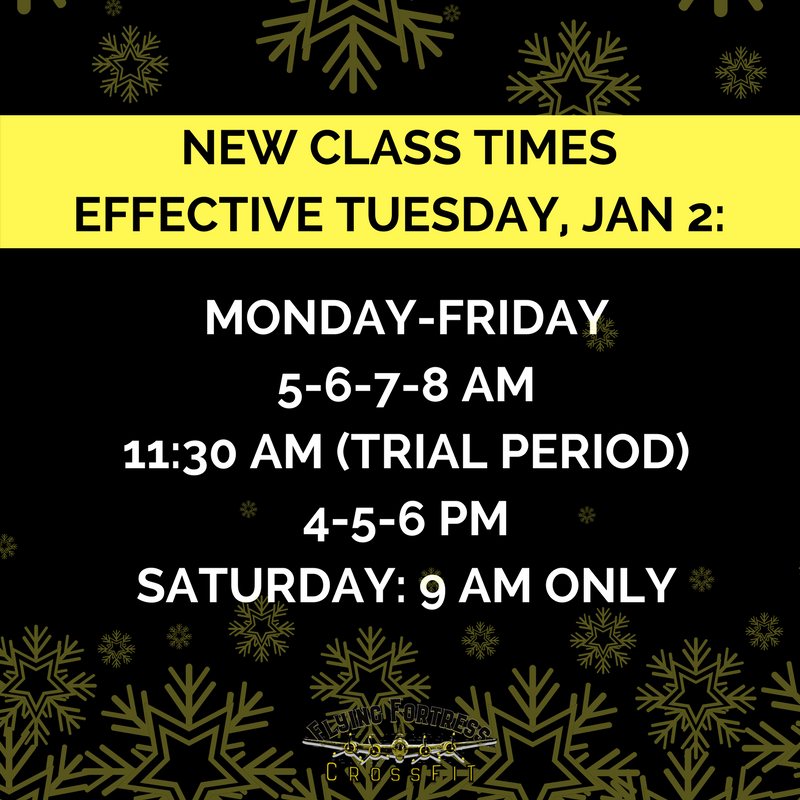 Please read ALL of the information below as we have some changes and additions to our class schedule. Bring a friend and get ready for fitness, fun and more! We will be placing an order for FFCF hoodies.It's a tri-blend full zip hoodie and sizes run S-2XL. It will be Navy with a light grey logo. The price will be $45. If you have not commented on the FB post in the Crew page, please email Kara January 3rd. to reserve at kara@flyingfortresscrossfit.com. Our CrossFit classes provide constantly varied, functional movements that improve GPP, general physical preparedness. However, we know that all athletes have unique goals and challenges that inspire them to put in extra time. Open Gym is intended to provide athletes an independent skill/cardio/lifting time block above and beyond their participation in CrossFit. (NOT in the place of CrossFit). Open Gym hours are NOT for completing your own custom-made workouts. 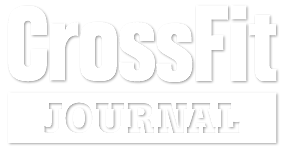 Most of us do not need to WOD more – we need to continue to get stronger and address our individual weaknesses as CrossFitters. If you need a guide, we have a “Special Ops” program that can be found in Zen Planner. Open Gym is a chance for us to come together and support each other! We are a CrossFit facility! Therefore, you must participate in classes the majority of the time. Open Gym is included as part of an Unlimited Membership. Open Gym is not a coached session, however, a coach will be on the premises and you must let him or her know what your workout plan includes. The scheduled class will be given first use of equipment. Please be considerate of the coach and the class using the gym and be sure and leave things cleaner than you found them.